Our Indiegogo campaign is now closed, and we’re pleased to report that not only did we meet our goal, we exceeded it! Wow! Of the $7,475 raised through our Indiegogo campaign, 71% is going to our professional critiquers for their expertise, time and services, 15% will cover our fundraising fees, website costs and other conference expenses, and the remaining 14% will go toward compensating our more than 100 talented speakers and hardworking organizers for all the time that goes into producing a conference like this. A giant thank you to all 300+ of you who contributed to our campaign and/or helped spread the word. We’re thrilled to have so many of you signed up for the conference already, and we’re eagerly looking forward to welcoming you to it come February! If you purchased one of the critique perks, we’ll be in touch soon with submission guidelines. 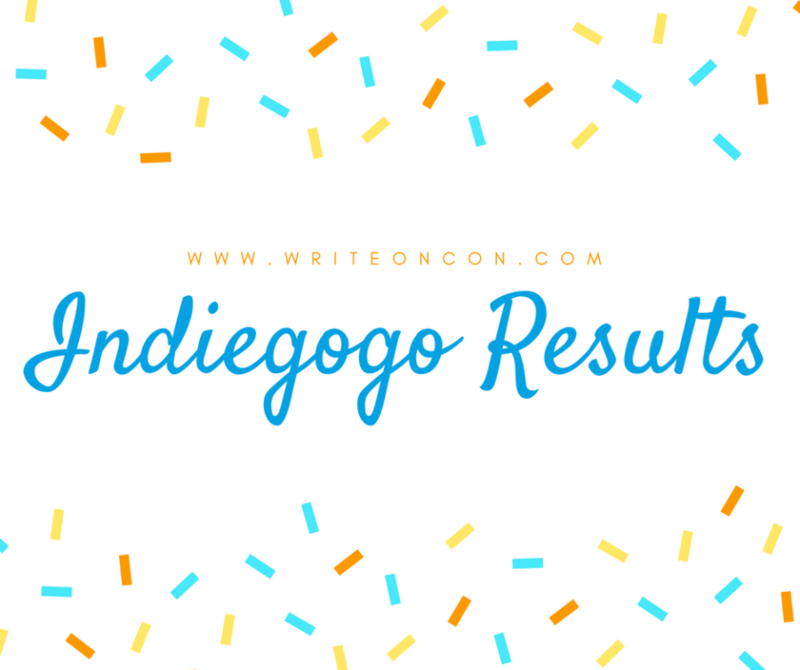 And if you (or a writer friend) missed out on our Indiegogo campaign, never fear — while the critiques are no longer available, you can still sign up for the conference itself. Watch this space for the giveaway results and our full schedule — both coming in the next week!